Hand fried in 100% sunflower oil and drizzled with the completely natural flavour of Tomato, Basil and Mozzarella. 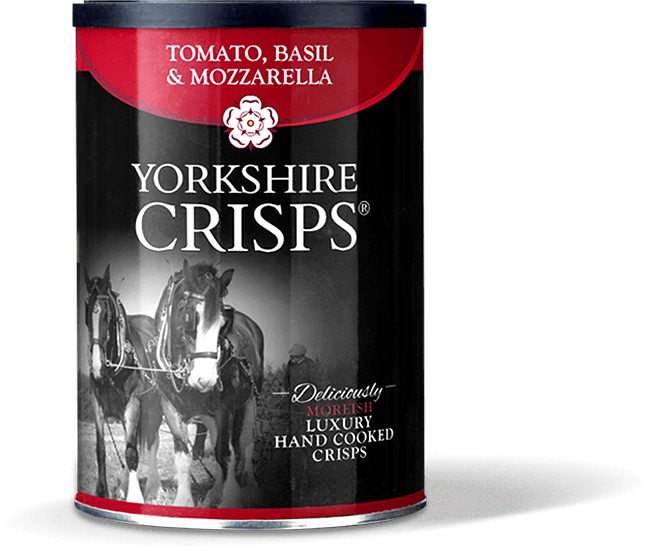 Our unique Yorkshire Crisps drums are produced with seven months shelf life. Our Tomato, Basil and Mozzarella flavour is suitable for vegetarians.